I hope you’re all enjoying a nice, long 4th of July weekend around the Des Moines and Central Iowa area! And, I hope, plenty of outdoor living – celebrating – to go with this summer holiday. On the deck. On the porch. Outdoor kitchen smoking the tastiest chicken this side of Memphis. Fireworks. Back home for a nightcap in the screen porch. Kids lighting sparklers off the firepit flame on the patio. Happy Birthday, America! Today’s light, quick, scattered showers notwithstanding, Mother Nature is cooperating nicely here in Des Moines. Seems like we haven’t had many of these summer days, summer weekends yet this summer. 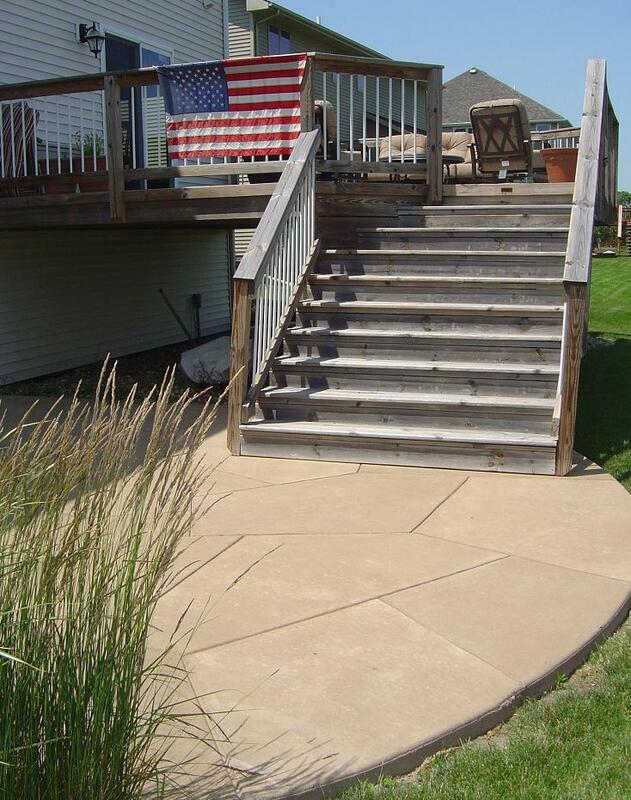 Not enough nice days, evenings, weekends to enjoy out on the deck or patio. And yet, the calendar says July 4th. Summer is already slipping away. That’s an attitude I’ve gotten a sense of the past few weeks as I’ve been out visiting with Des Moines-area folks about their outdoor living space needs and desires. Certainly, wet and cool weather influences that thought…and we seem to get plenty of that in Spring, anymore. Our lifestyles – busier than ever – also give the sense that time is slipping away…regardless of season (though, why does Winter last so long?). So, what to do? Attitude Adjuster #1: Summer doesn’t actually start until June 21st. Winter doesn’t start until December 21st. Sure, we so badly want winter to be over that we want to get out and enjoy the great Central Iowa outdoors as soon as we can in the Spring…and as long as we can in the Fall. But, I think (but not confirmed with the National Weather Service; its an intuitive hunch based on 54 years of living in Iowa) there are generally more “nice days” between June 21st and December 21st, than there are between December 21st and June 21st. Our anticipation for getting out on the deck, on the patio, in the pool, under the pergola is greater in the latter period. And when the former period arrives…nearly the instant it arrives…we start lamenting that summer is over. Summer is just beginning! The best is (still) ahead. Honest to God truth: As I am writing this, I have on ESPN’s Sunday Night Baseball game – Dodgers/Angels. Commercial break; two commercials…back to back. The first, a promotion for Las Vegas…theme: “Life is short. Summer is shorter.” The second one, an advertisement for Kingsford Charcoal…theme: “Slow down and grill.” Anybody else see those? Life is short. Summer is shorter. Slow down and grill. I couldn’t have said it better. Except to add…go to Vegas in the winter! Attitude Adjuster #2: Life is short. Enjoy Fall, Winter and Spring, too. Design, build and accessorize your outdoor living spaces and rooms to maximize their use throughout the year. There are aesthetic and ambience appeals to a roof, but a roof over a deck or a patio will give you relief from sun and rain…depending on how low the sun is and how windy the rain is. Screens, walls and windows are optional with that roof, but each further extends the functionality of the room, particularly as the weather degrades…day-to-day or season-to-season. A fireplace in that porch – open or enclosed – will take some of the chill off those early Spring and late Fall evenings. Not to mention, a nice ambience on those Summer evenings. 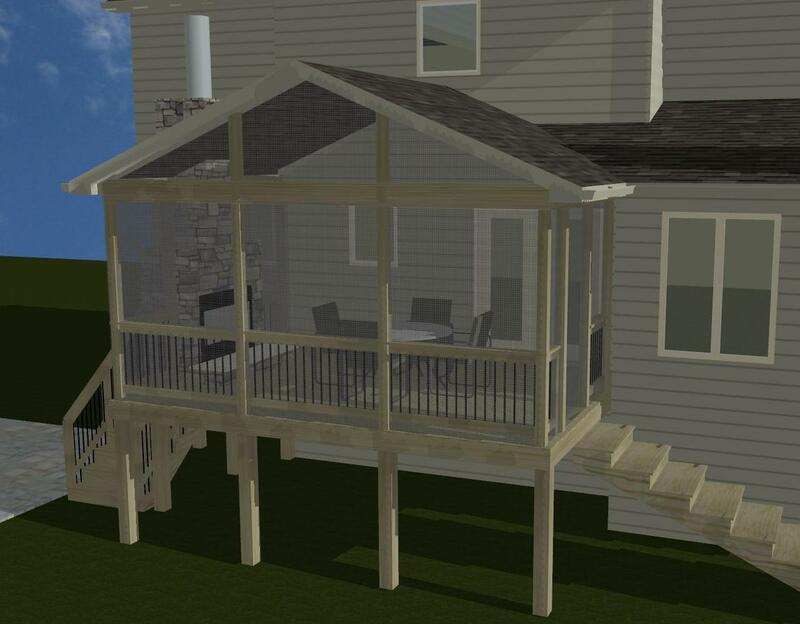 (In a couple of weeks, we’ll be starting a project for an Urbandale client that will include a screen porch with a fireplace; stay tuned for updates.) Even something as simple as some strategically-placed deck and landscape lighting can extend the usage of your outdoor spaces: Go outside and play…at night! Attitude Adjuster #3: Life is short. Sometimes we can’t slow down…to grill or to go to Vegas…and time gets away from us. If that happens to you this summer…this fall…and you go through another year without that new outdoor living space you desperately want, we’re here to help…year-round. 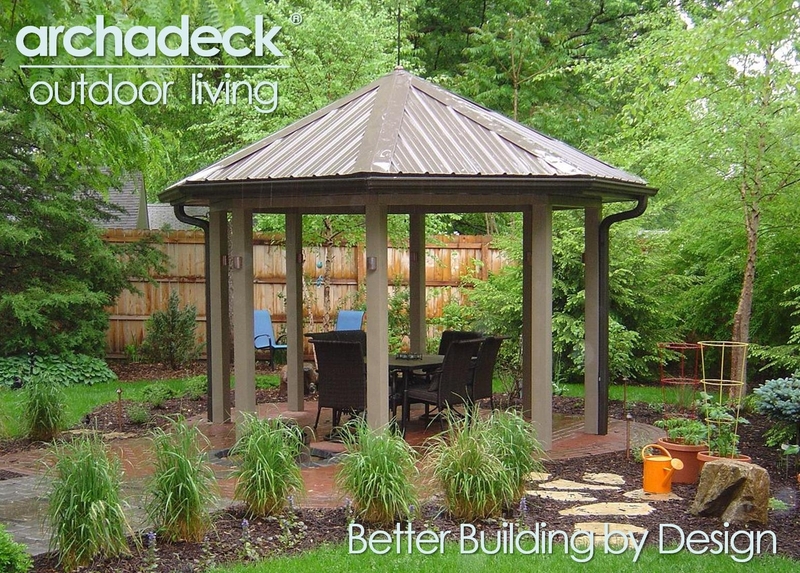 The key to getting your outdoor living spaces in shape is that first step – design. And we do that year-round. Even build year-round (with “breaks” for blizzards, ice and sub-zero temperatures). But…horse before the cart: Design. Download our Design Guide and keep it handy. Review it as you get a chance over the coming weeks and months. Stay in touch with us here. Like our Facebook page and follow-quick, fun updates about us and our projects there (or on Twitter). Check our web site regularly; photo galleries will be refreshed as new projects are completed and Special Offers and other news and information will be announced there as well. Then, if Summer completely slips you by, and you want to enjoy your outdoor from new spaces in the Spring…next Spring…you can contact us in the Fall or the Winter (or even tomorrow) and we can make your new outdoor living space, room and accessories happen for next Spring (or sooner). This entry was posted in 3-Season Rooms, 4-Season Rooms, Decks and Decking, Fireplaces, Open Porches, Outdoor Furniture, Outdoor Kitchens, Outdoor Living, Patios, Pergolas, Porches, Screen Porches. Bookmark the permalink.